You can see by the data below from my Garmin Connect profile, just how ill I was!! 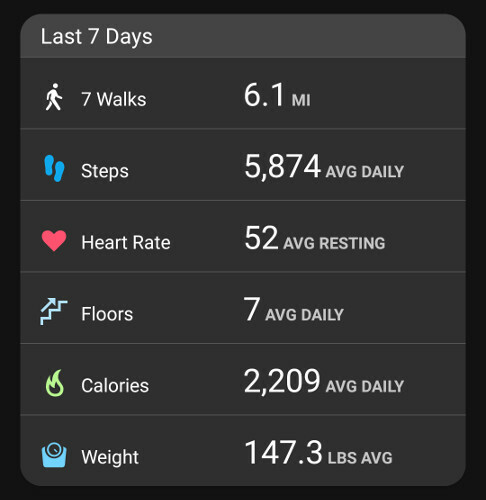 In the last 7 days, I only did 6.1 miles of recording walking. When most weeks, it’s around 25 to 30 miles! Also my weekly step avg, was very poor indeed!